One of my favorite things about traveling is the possibility of meeting new friends. There’s a strange thing that happens when traveling – you become the best version of yourself. Travel attracts other like-minded people, celebrating, laughing and sharing travel experiences, bonding in a way that just doesn’t seem to happen otherwise. I’ve been lucky enough to make friends while traveling. 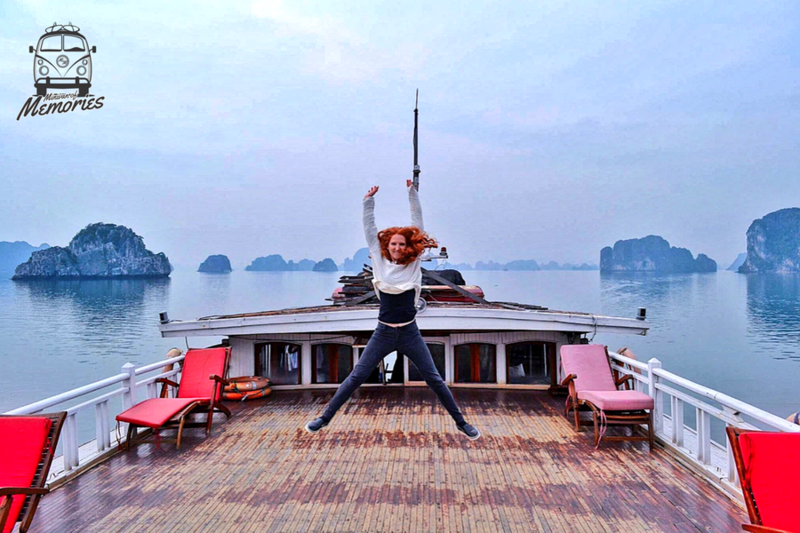 My dreaming experience happened on a tiny junk boat in Halong Bay, Vietnam - 2016. My husband and I were on our honeymoon and sharing the boat with us were two other couple and one of them also on their honeymoon. They were from Barcelona and were doing a six months country hopping adventure. It was a tiny and intimate boat with only a few number of staff who seemed to hide from us for the whole time. We were treated to a beautiful fresh seafood feast of several courses. The tour expenses were all inclusive and all paid in advance. However, it didn't include beverage and unfortunately we weren't prepare for this surprise. We're in the middle of the South China Sea where WiFi, cellphone or ATM services were completely nonexistent. For our surprise, the Spanish couple invited us to share a very expensive celebratory bottle of champagne. We ate, we drank, we shared stories through the night and later we stared at the crisp star filled sky contemplating how lucky we were to be there at all. The following day we woke up before sunrise to do Tai Chi together on top of the boat. The day started off beautiful and calm and the ocean was dead silence. Afterwards we watched the sun come out cuddling up in blankets on top of the boat. We were all in disbelieve with the magical and dreaming scenery right in front of us. The silence was overwhelming, taking over the beautiful blue sea and its rock formations. 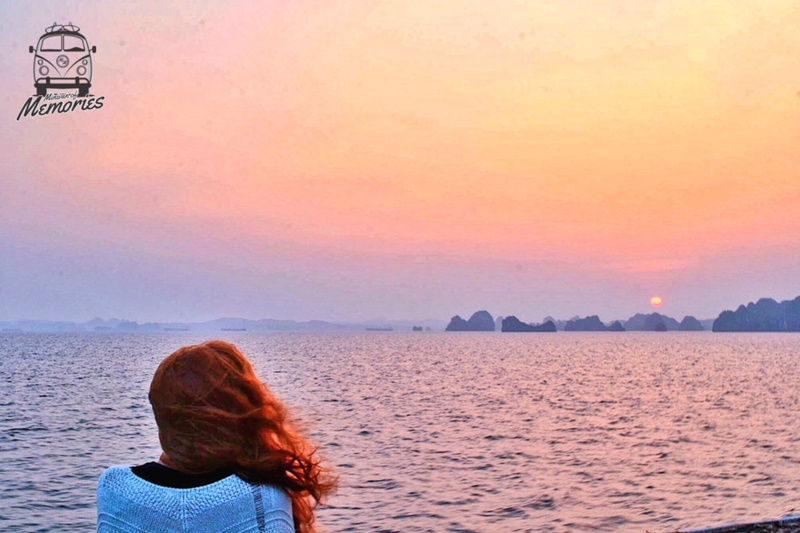 This memory belongs to our Passenger Emma June (@navigatingwanderland) . All the pictures belong to Emma's personal archive. To know more about our Passenger Emma June, click here. 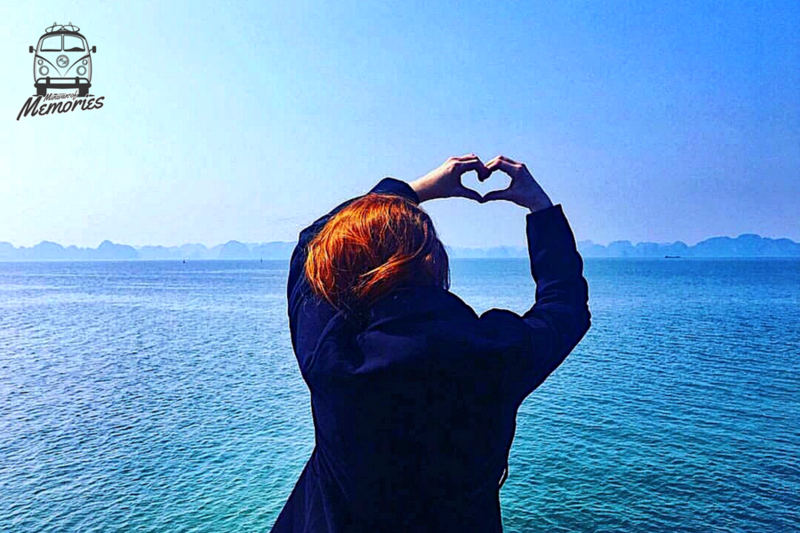 Halong Bay is incredible and inspiring. Its beauty painted the perfect background to my unforgettable memory: the amazing people we got to meet there. I still cherish my friendship with that lovely Spanish couple, and now we have an open invitation to Spain with locals who can help us to create unforgettable memories once again.